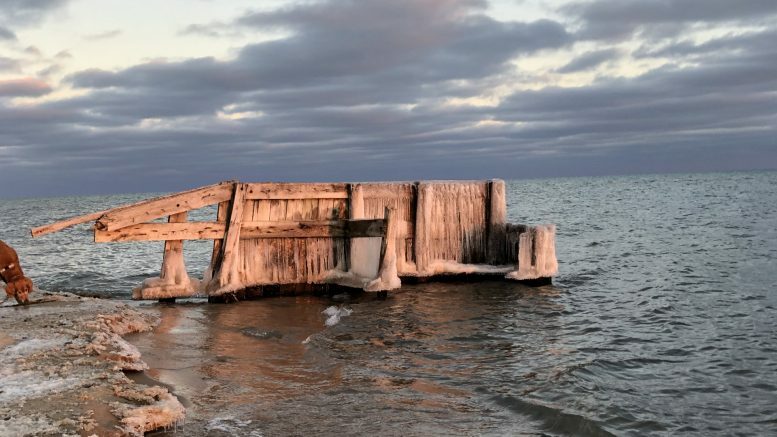 (Photo Courtesy/Carmen Nasello) Natural light shines upon a structure off of Au Sable Point. Today’s ‘Photo of the Day’ was sent in by Carmen Nasello. Carmen took this photo of Au Sable Point off of Lake Huron. Carmen noted that she loved the natural light shining upon the cold structure. If you have a photo you would like to send to us, email it to news@wbkb11.com.